It's Christmas Eve! We hope that you are now beginning to unplug and relax and are getting around to spending quality time with family and friends. Christmas is always a time for reflection and also the chance to look forward to another New Year, and starting afresh with renewed energy and purpose. Yesterday, we recorded our Christmas message VideoBlog where we share our thoughts on the past property year, and look forward with enthusiasm to 2010. One of the highlights of our year has been the success of our Property Tribes forum, which we launched in May. It now has just shy of 700 members, and our recent Google analytics revealed that we had 9,000 hits on the forum during the month of November, and that it grew by 23%. This is purely down to the high quality content, which is constantly up-dating, and therefore always engaging and relevant! To that end, we would like to thank the many Tribal Members who have contributed to the forum. It is down to you that it is such a great success! We hope that Property Tribes will continue to be a great resource for the property community and a place for like-minded and committed Landlords/investors to gather on-line and share opinion, experience, news, and contacts. We have taken an office in the Surrey Research Park in Guildford. One of our reasons for choosing this location was due to its excellent conferencing and meeting facilities. We will be taking full advantage of these in 2010 with a comprehensive schedule of property and social media networking and educational events. Early in the New Year, we will be issuing a year long programme of events, our first networking get-together being scheduled for Monday 18th January, so put that date in your diary now! We will be inviting a variety of speakers to come and share valuable insights into property, social media, and business development to help you keep ahead of the curve in 2010. Speaking of "speaking", we were thrilled to learn recently that Nick has been asked to be a key-note speaker at the LikeMinds Conference 2010, taking place in Exeter on the 26th February. Nick will have the honour sharing the stage with one of our social media heroes, Chris Brogan. We hope to see many of you at this amazing event where many of the world's top social media exponents gather to share insights and knowledge. As we will be discussing at LikeMinds, 2010 will undoubtedly see businesses taking social media far more seriously. Traditional marketing as we know it is in terminal decline and your business must change ... or die. We believe that those who provide valuable content, and "earn" people's attention will be the success stories of the next twelve months. There is an amazing opportunity for all of us to harness the power of the web and become known, liked, and followed for what we do. As a by-product, this will lead to trust and increased business transactions. 2010 is the year to build your network which will provide you with both financial and emotional wealth for the future. Our mantra: Content is King, Collaboration is Queen, and Community is where they reign supreme! We take this opportunity to thank everyone who has supported us over the past twelve months. We wish everyone a merry and peaceful Christmas and a happy, healthy, and prosperous New Year. We hope that you connect with that magical ambience of this special time, and feel the wonder, awe, and sense of anticipation that is always brings. We look forward to supporting you in making 2010 your best year yet! Video Blog: Camber Sands holiday lets chat from the beach - wish you were here? We were down at Camber Sands yesterday putting up the Christmas decorations for our Christmas guests. Whilst on the beach we thought we would exercise the Flip-Video cam and have a chat. Seabreeze (our let) is now in it's second season and so far I'm very impressed. It would appear that we are having somewhat of a renaissance in the Great British Holiday. However, that does rely on The Great British beach, and I'm sure you'll agree with me that this is one of them. How to avoid the voids! 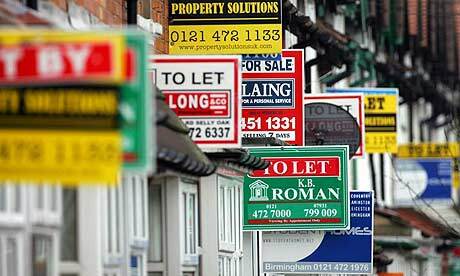 Useful tips to avoid Landlords' worst nightmare ... ! I thought Landlords and property investors might be interested to know that we are working with Upad.co.uk on a social media campaign called Avoid the Voids. Upad would like to been seen to be leading the way in supporting Landlords in getting their properties rented fast via maximum exposure with minimum hassle and expense! Generally speaking, the "void" period is a Landlord's worst nightmare, so it makes sense to find ways to avoid it at all costs, especially in the challenging and highly competitive market conditions we are all experiencing. This aligns with the core message of Upad: to avoid voids by exposing your property for rent to the largest possible marketplace to maximise exposure. Upad.co.uk is the largest online lettings agent, helping landlords let out residential property both quickly and easily. Upad.co.uk allows you to list your property across more than 100 online lettings agencies, property websites and portals, connecting you with the perfect tenant for your UK property to let. Upad also wants to offer the definitive guide of strategies to avoid the void and advice on how to make your property stand out from the crowd to ensure that you avoid the void at all costs. We are currently working on this as an e-book and it will be free to all subscribers. You can follow our information stream on Twitter @avoidthevoids for hints, tips, and Landlord intelligence to help you stay ahead of the competition. You will notice that the Twitter avatar has "Let by Upad" on it, meaning that every tweet that Upad sends out will reinforce this message! 1. Handle repairs professionally and quickly - happy tenants stay! (Thanks to @juicyproperty for this tip). 2. Ensure your property is "staged" for marketing photographs and ensure that these photograph are of a high quality. Tenants "buy" from the photos far more than the marketing spiel, so ensure that the house is immaculately clean, the lights are on, there are some thoughtful finishing touches. 3. Ensure that the property is immaculately clean and maintained. The heating should be on for viewings. Use "plug in" air fresheners or spray Fabreze to get rid of any nasty niffs as smells are very off putting! 4. Ensure "kerb appeal" from the outside, with a well kept garden and house name/no., with outside security light. We passed a property today where the Landlord hadn't bothered to put a house number on the door, and the developer's sign for the Plot Number was the only identification. There was also a large pile of old carpet in the front garden. This does not give the appearance of a "home" that the owner cares about. Tenants want to feel "safe and secure" in their new home, so ensure this is addressed by simple security measures. 5. In areas of over-supply of rental stock, ensure your property stands out from the crowd. Give it a unique selling point. The days of identi-kit, "me too", magnolia boxes are over. Add a few upgrades and finishing touches to ensure your property is elevated above its competitors. Think about the target market for your property, and try to put yourself in their shoes. Young professionals/students/families? What little touches can you add to the property that will appeal to that target? An example of this is a friend of ours who has a lot of student lets. He fits all his houses with jacuzzi baths and students always pick his houses for obvious reasons! Look to see where you can create "lifestyle" touches i.e. garden furniture for the garden, plasma screen TV, etc. 6. Offer incentives to get prospective tenants to commit. This could be anything from a crate of beer in the fridge, to six months free broadband, to six months gym membership included. (The Gym offers membership for £14.99 per month and is 24 hours per day. New gyms being added all the time. Have a look at http://www.thegymgroup.com/ for details). 7. Keep an open and friendly dialogue with your tenants yourself (or through an approved agent) to ensure the continued enjoyment of their stay at your property. Treat even small problems or niggles seriously so that they feel valued as a tenant. If the tenant hands in their notice, find out the reason why, and see if there is anything you can do to persuade them to stay. 8. It is our advice not to rock the boat with an increase in rent at the moment. Tenants are worried about the economic down-turn and fearful about losing their jobs, so an increase in the rent might be enough to tip them over the edge to hand in their notice. 9. In the current market conditions, be price sensitive with your rents. Remember: it is better to have 80% of something, rather than 100% of nothing! Even one month's void will eat into your profit, so endeavour to let your property out as quickly as possible, even if that means taking a hit on the rent. You can offer an "introductory" special offer rent to be reviewed after six months. You need to consider the cost of holding out for the right price. As an example, suppose you're renting a property and asking £700 per month. Within a short time of advertising the property you get an offer for £650. You reject this offer because you believe your property is smarter than other rental properties available at £650. However, suppose it takes an extra 2 months to get the rent you want of £700. Have you achieved a good bargain? Your initial though may be "yes" because you've achieved £700. But infact over a 12 month period if you had let at £650 per month your income would be £7,800. If you held out for an extra 2 months until you got a rent of £700, your income over the same period would only be £7,000. Your aim both in selecting the right property and in determining the acceptable rent should be to get the property let as quickly as possible. (Thanks to @marywaring for this one!). 10. However, it's not good enough having a great property to rent if no-one knows that it's there, and there is no better way of making your property as visible as possible with the minimum of effort as by using the internet. Websites such as Rightmove and FindaProperty get the widest coverage, so it is crucial to get listed on as many of these as possible, including free listing sites like Gumtree and ToRent. This said, it can be time-consuming and costly getting your property onto all of them, so find a company that can do this for you. Upad, for example, for a one-off fee of £59.00, automatically lists any property uploaded onto its site onto over 100 portals sites, including the aforementioned sites. This way, most of the work is taken out of your hands while the internet is still working hard to find your tenant. What do you do to avoid the void? What else do Landlord's fear most? Share your tips and stories here and we will credit you/your business in the Upad guide! "The biggest problem with the property market, and why it is so attractive to people, is the barriers to entry are relatively small. i.e. with a small amount of start up capital you can begin finding properties, then sourcing, selling etc. This has resulted in a whole host of people being involved in the property market, some of which are ethical and responsible, some of which see it as the quickest way of getting rich in anyway possible". But which property "industry" or "market" was being referred to here? You see, my wife Vanessa and I are in the property industry as a full time professional investor/Landlords and it bears no relation to the above. Let's be clear. The property industry referred to here is the "property marketeers" industry i.e. other people offering "get rich quick" schemes, NMD deals, armchair investment schemes, and teaching others how to get wealthy, rarely actually doing it themselves. As noted, there are low/no barriers to entry. I recently came across someone who was a student on one of these courses six months ago. The person in question has not managed to buy any property themselves, but they are now offering mentoring! If the "system" worked, surely they would be busy buying property? To clarify something: there was a window of opportunity up to April 2008 to structure legitimate/transparent "no money down" deals. I took advantage myself! However, that window of opportunity was slammed shut when Mortgage Express withdrew the same day bridging/remortgage product. Unfortunately, many property sourcing companies are living in 2007 and still telling people you can structure deals in this "no deposit required" format. An example is Gekko. In reality, they were unable to pull off any such NMD deals and the whole thing unravelled very quickly when they sold new build properties via a third party without doing enough due diligence. In their case, the reservation fees should have been refunded, but the money had already been spent, as is the case with Passive Investments. I am not suggesting that there are companies offering to teach a "get rich quick" business model for selling deals. What I am alluding to is those people who go on "get rich quick" training seminars end up finding that they can't actually implement the strategies they were taught, and bring any deals to fruition using these methods, so they then end up selling the dream on to someone else. It's actually a bit like an MLM scheme if you think about it, because many of them get affiliate commissions for referring unsuspecting newbies into the scheme that they got sucked into themselves!! If you really had a deal that was No Money Down, and £20K cash-back, why would you sell it for a few £K intro fee. Wouldn't you keep it for yourself? If you really have what amounts to the six numbers to the lottery, why would you sell them for a few thousand pounds intro fee? If you think about it, it just doesn't add up. If it sounds too good to be true, it is, every time. Without fail. Whilst I am all for education as you can never learn less, many of these courses teach the theory not the practical. Without wishing to squash anyone's dreams of a better financial future, there must also be room for a reality check. In the property industry I am in, the real world, not marketing/sales hype and dreams of get rich quick, there are HUGE barriers to entry, namely a 25% deposit, stamp duty, legal fees, services charges, management fees, all sorts of legislation to comply with, money for repairs, furniture, blinds, maintenance - the list goes on. Not only that, you need a minimum salary of £25K, a squeaky clean credit rating, three year's audited accounts (if you are self-employed) to even get on the short list for lending/finance. It is often mentioned that it is investors who demand low/no deposits. Of course they do! But that does not make it legitimate, nor does it make for a long term sustainable business to supply a demand that is based on unsustainable practices. Also, just because you do not know of anyone who has been prosecuted for fraud does not mean it is not happening. It is. From buy to let to mortgage fraud. And this, Mortgage fraud in the headlines , which was posted by a broker which lists a number of cases. But we can all agree that it is going to take a lot more effort to find clients with big deposits, than it is to offer "money for nothing and your properties for free" to quote one of the greatest exponents of armchair investing, Andy Shaw whose company "Passive Investments" recently went bust taking millions of pounds of clients money with it. 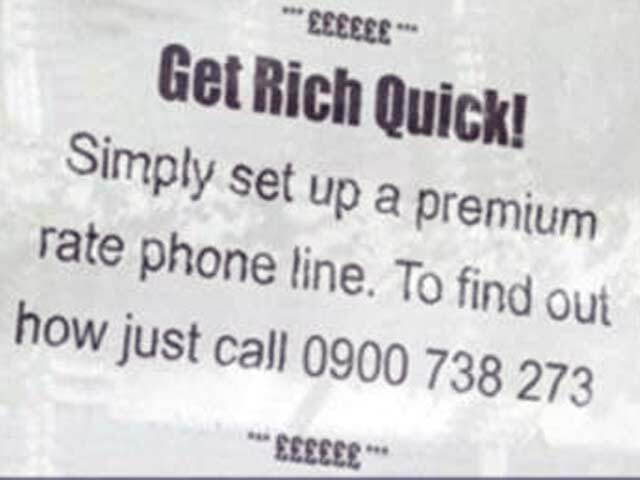 I must say it certainly worked for Andy Shaw, but not for his unfortunate clients! ;). So which property industry are you in? The "head in the clouds" one, or the real world?! To conclude, myself and Vanessa are in the business of providing a great service to our valued clients (tenants). Join the discussion on this topic at the Property Tribes forum >>>> here. We now have over 600 members and growing daily. It's a great place to hang out, network, share knowledge and opinion, and keep up to date with the latest property news and views for anyone who is serious about property investment and Landlord-ship.